The THR16 Multiprocess IBARMIA model won the National Prize for Innovation in Advanced Manufacturing Technologies, in the category of machine tool. 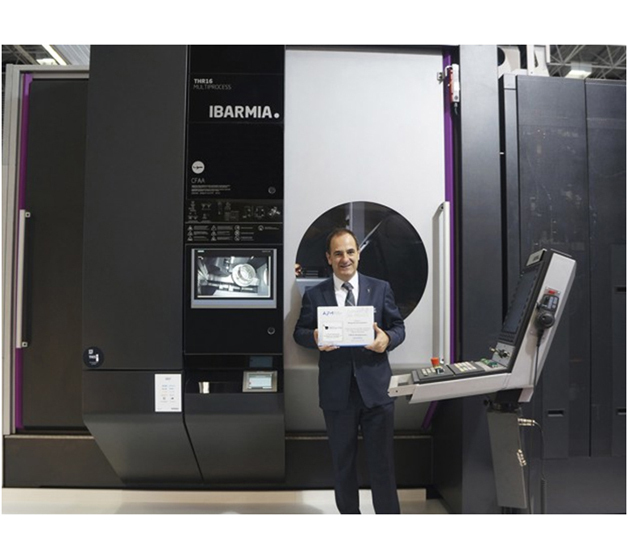 The IBARMIA proposal stood out for the integral design of the machine incorporating the brand identity and the technological innovation presented by IBARMIA by using a fork type head, an intelligent tool change managed by a robot and the multiprocess capacity of the machine. This awards is a confirmation of IBARMIA's philosophy to offer our customers the most advanced technology with and attractive and ergonomic design.